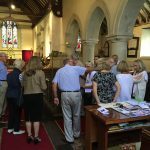 On Saturday 8 October 2016, DVS celebrated its 21st year with a party in the Church Community Room. 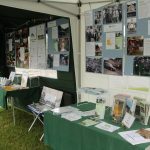 To see some of the photos taken on the day, please click here. 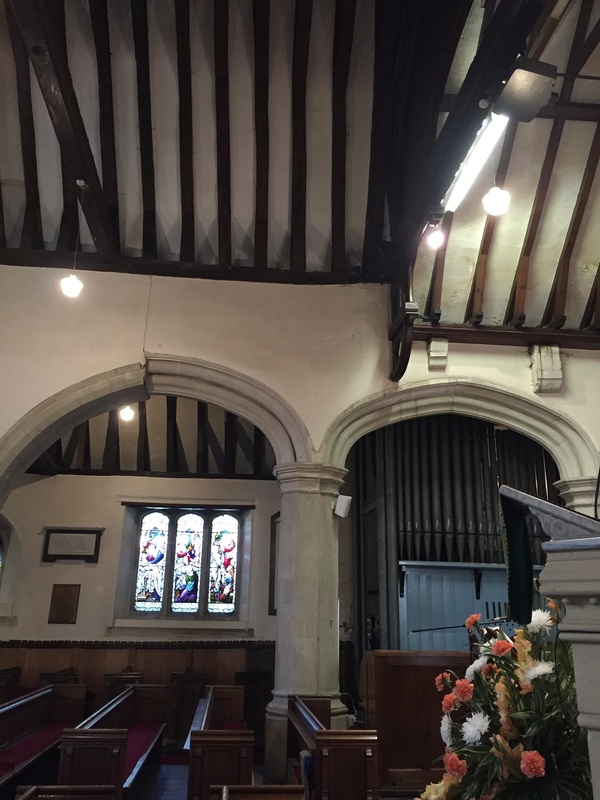 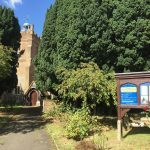 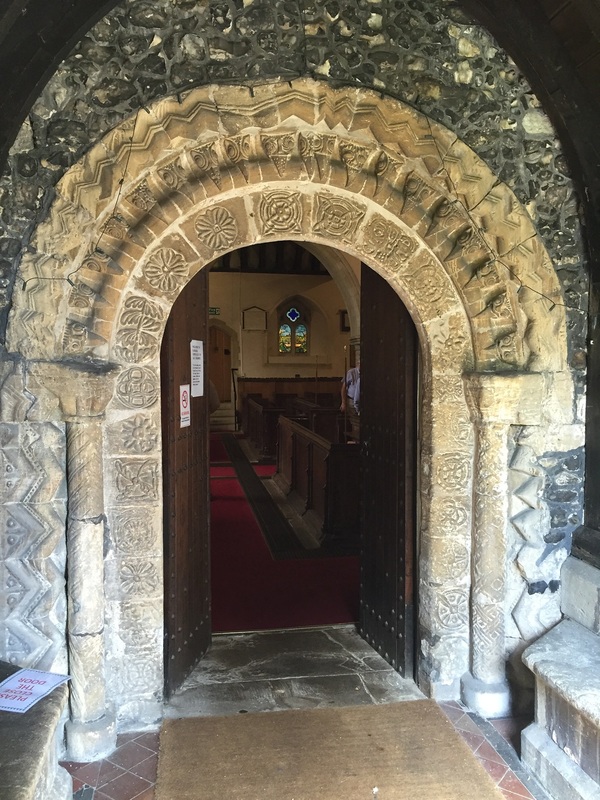 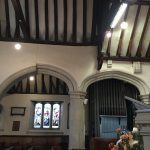 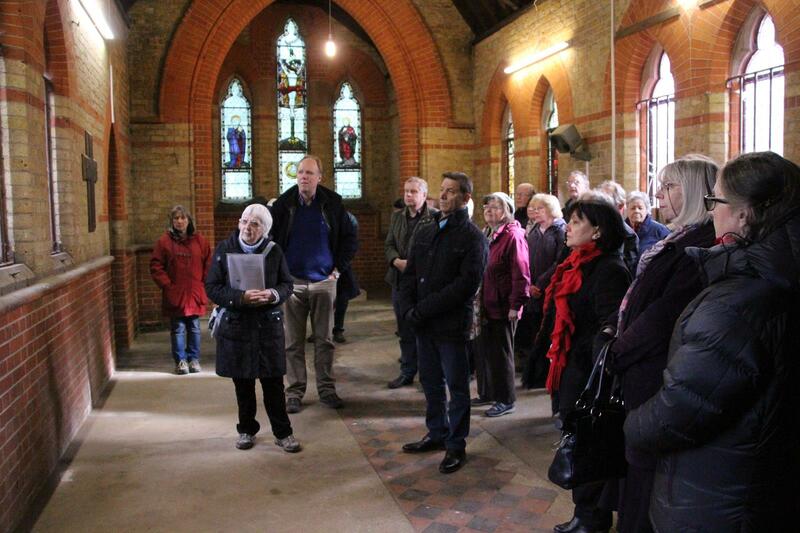 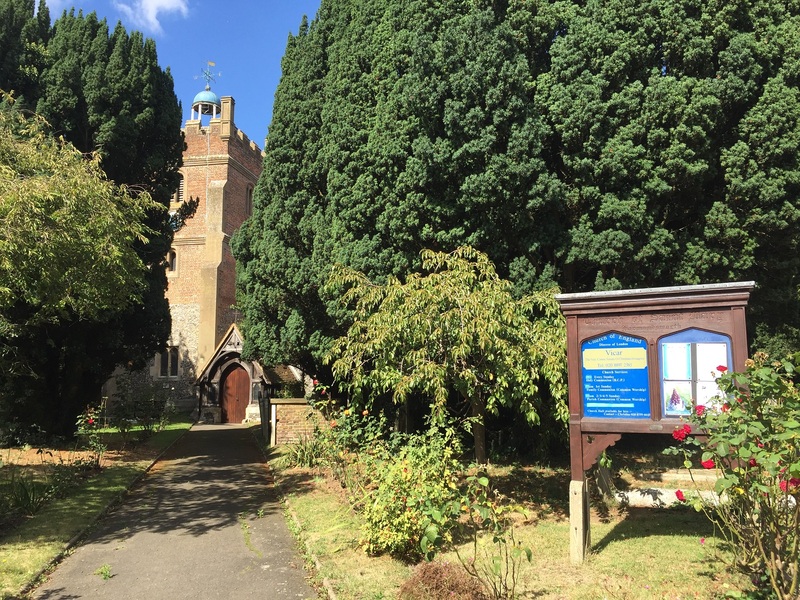 On a sunny Sunday afternoon in September 2016, we visited the pretty village of Harmondsworth which will be greatly affected and partly demolished if a third runway is built. 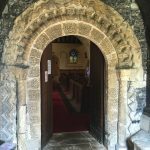 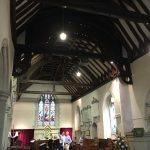 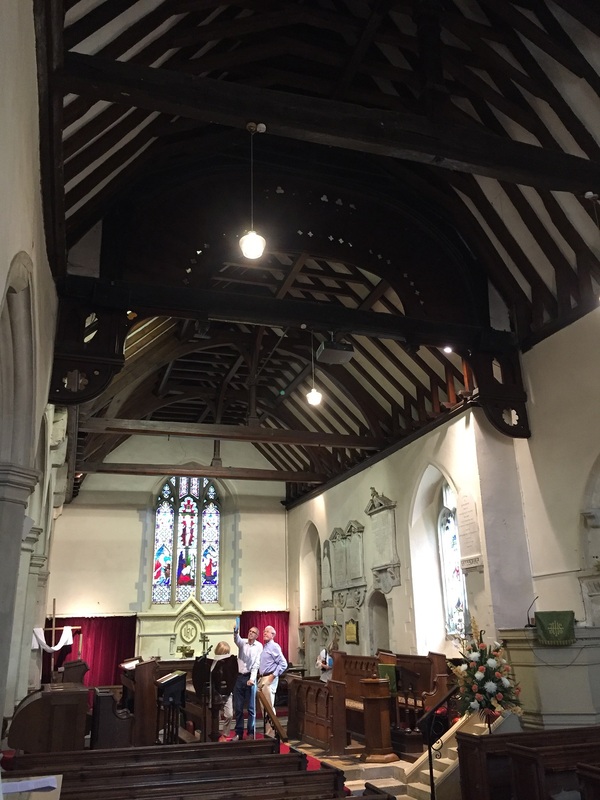 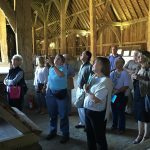 Our visit started in the Church, moved on to the magnificent Great Barn (entry to which is free of charge), and concluded at the Five Bells. 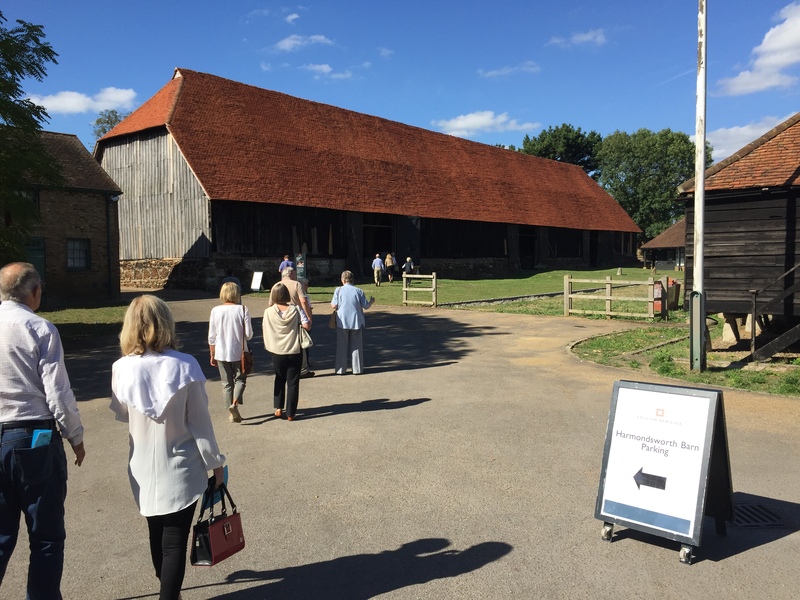 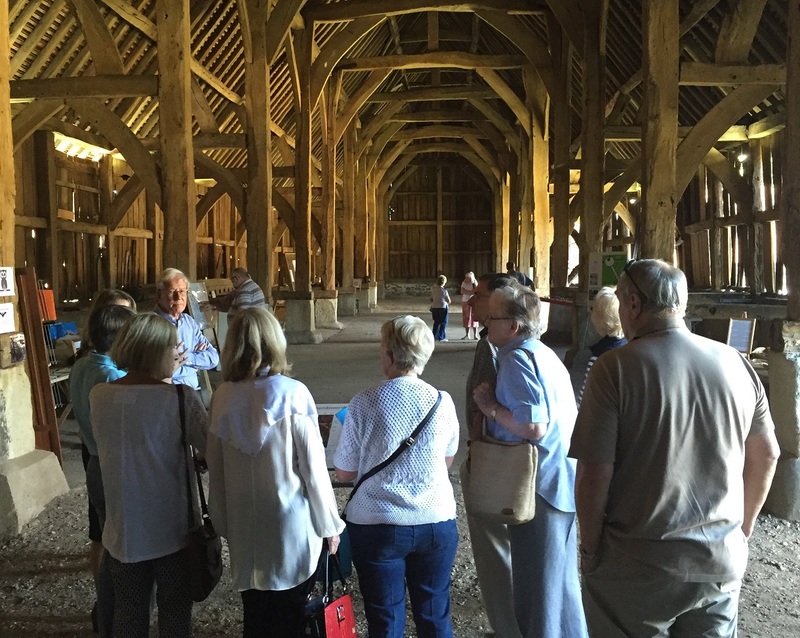 The 15th-century Great Barn, now owned by English Heritage, is 192ft long, 37ft wide and 39 feet high. 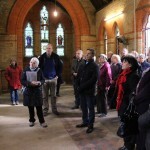 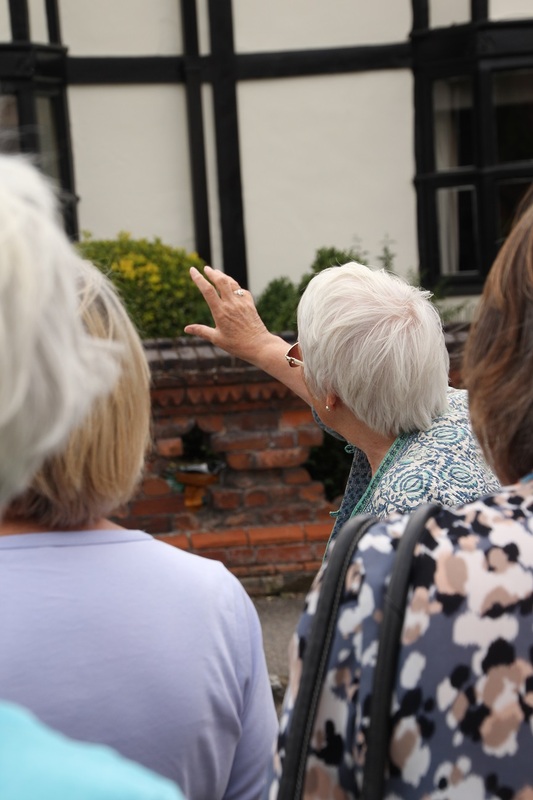 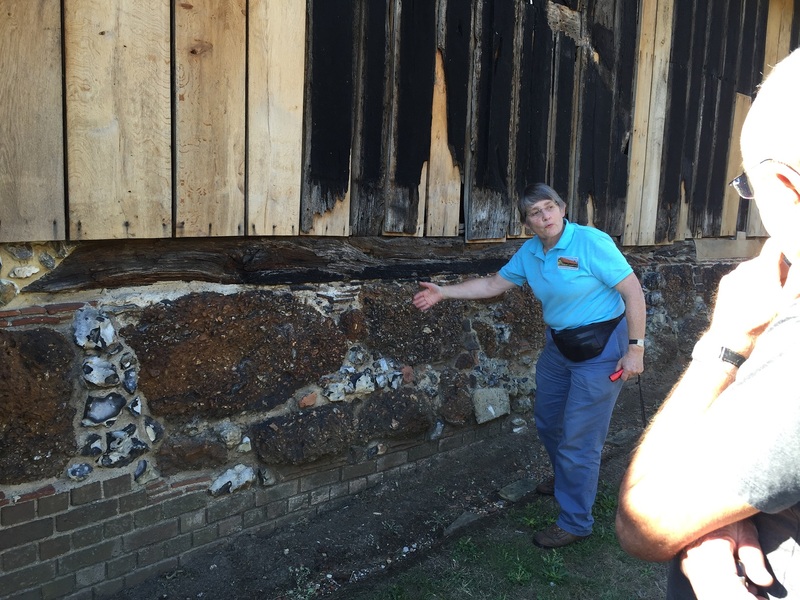 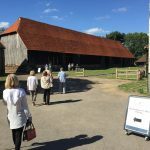 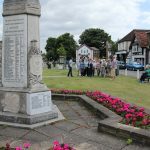 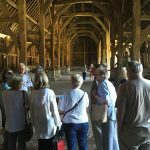 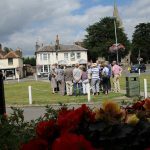 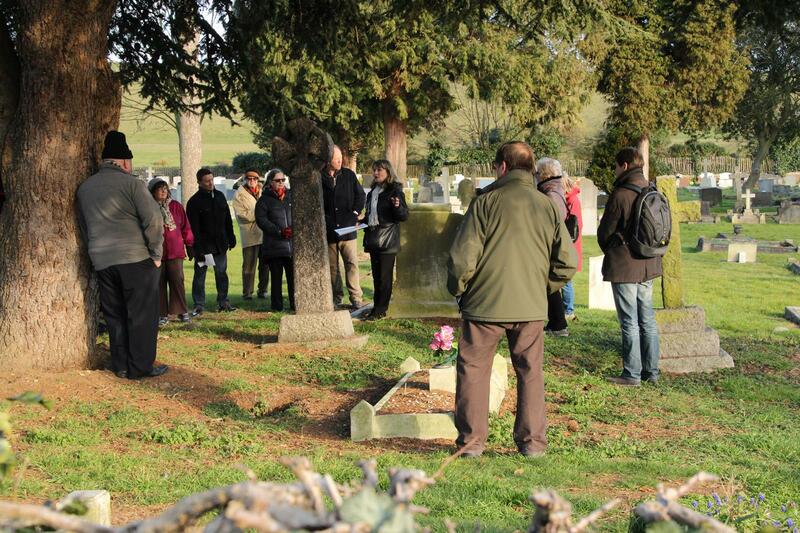 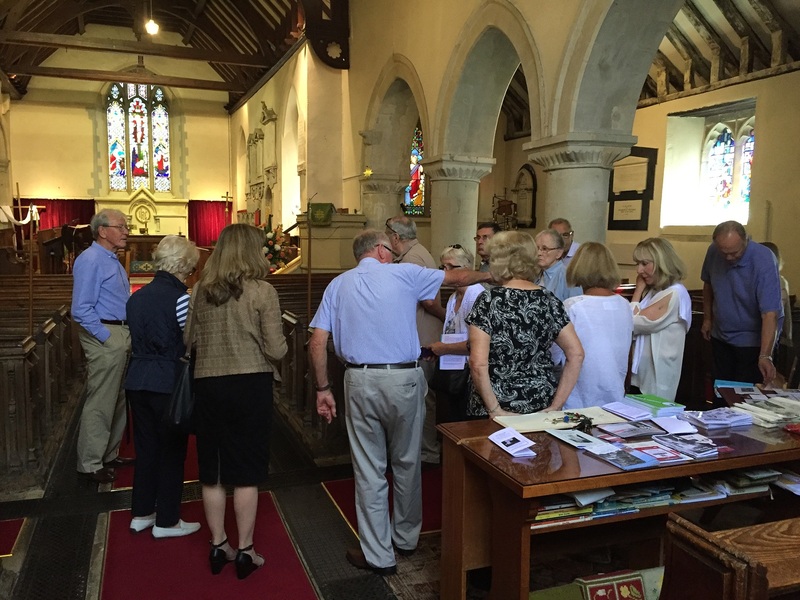 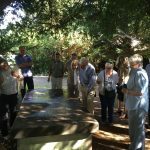 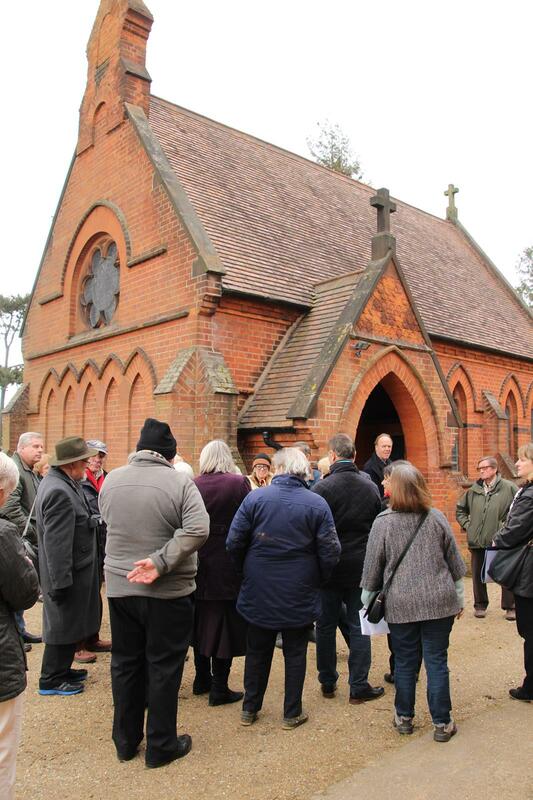 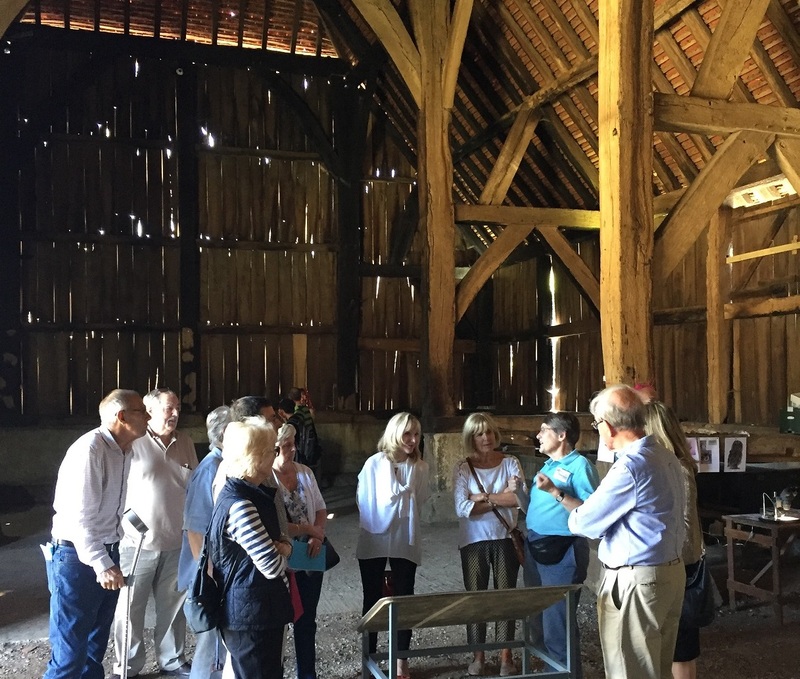 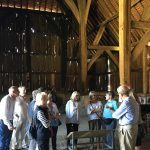 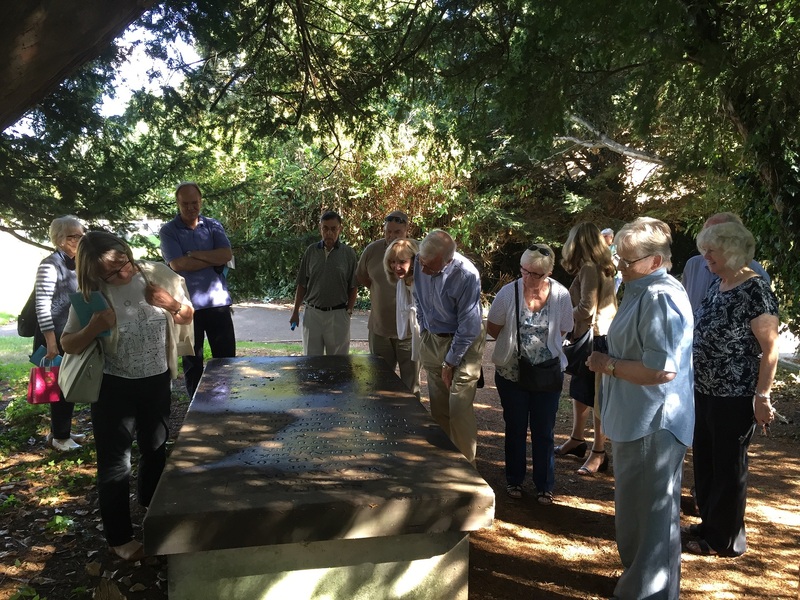 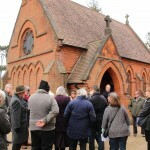 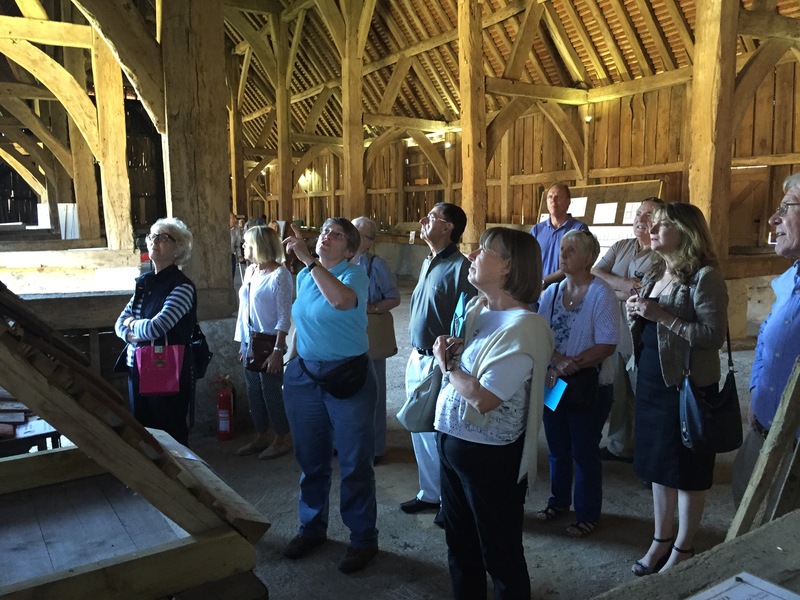 On 9 August 2016, a group of about 22 DVS members enjoyed a stroll around the Green with Janet Kennish, learning more about the history and development of the village centre and discovering that buildings are not always what they seem. 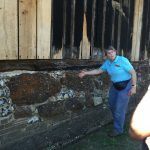 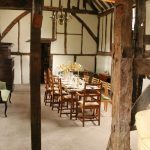 We were also very fortunate to be invited inside one of the oldest houses in the village, the timber-framed ‘Hall House’ in the High Street. 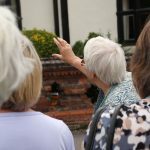 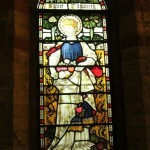 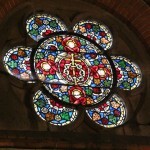 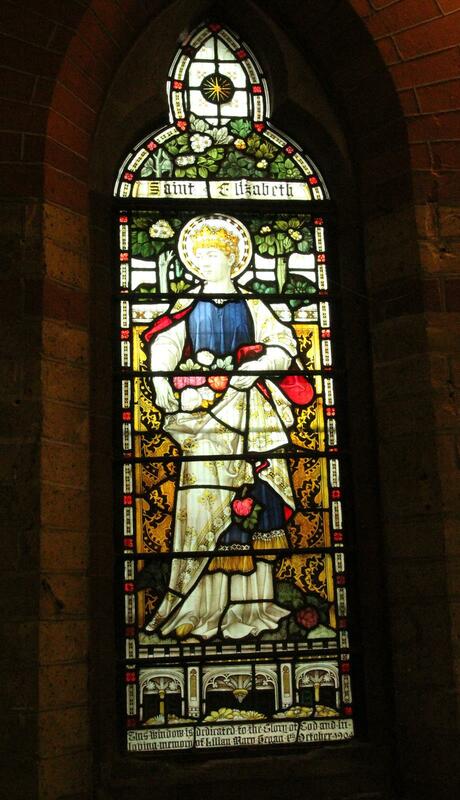 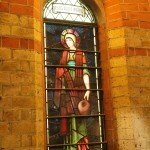 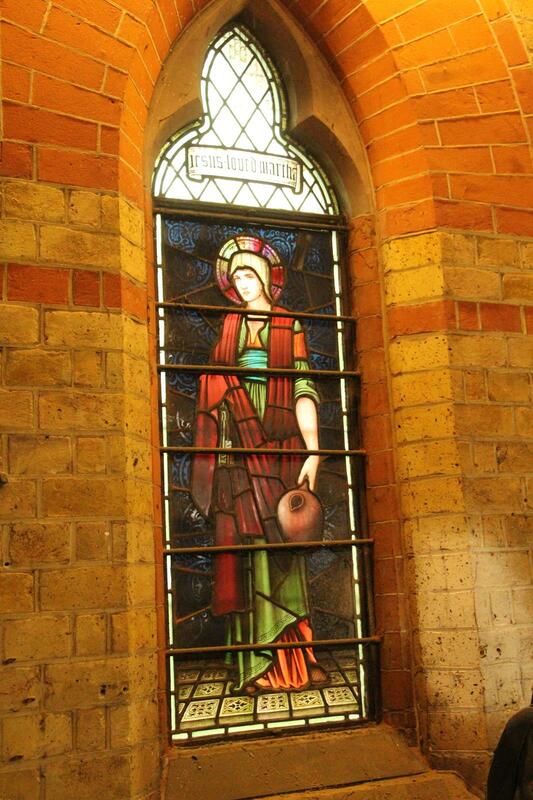 To read more about the ‘Hall House’, on Janet’s Datchet History website, please click here. 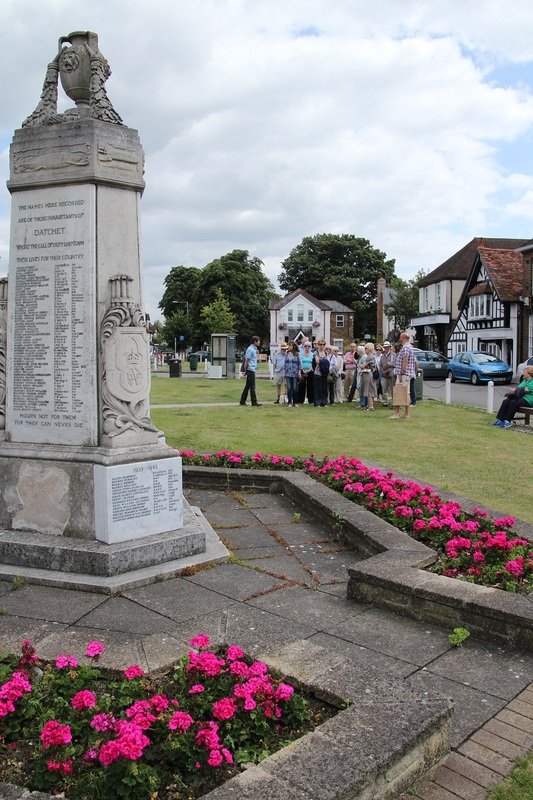 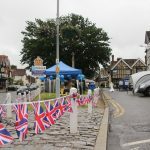 For more about the growth of Datchet, please click here. 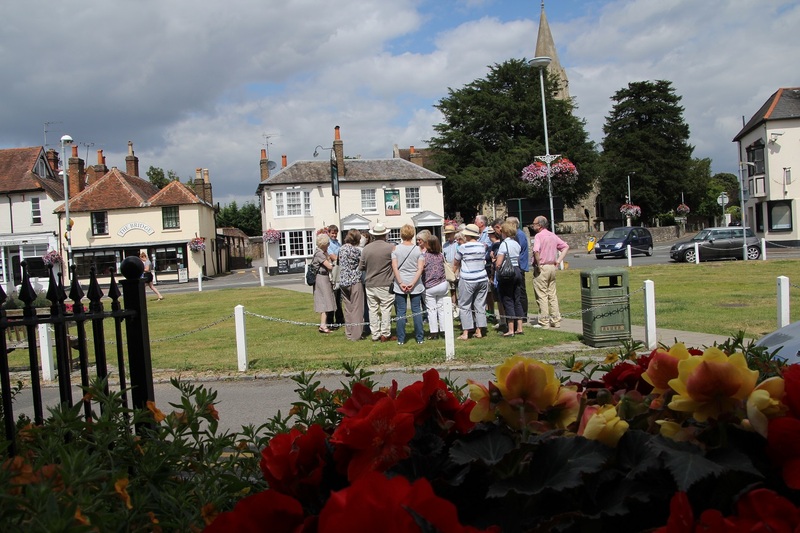 Until the 1840s there was a ‘pond’ in the village centre. 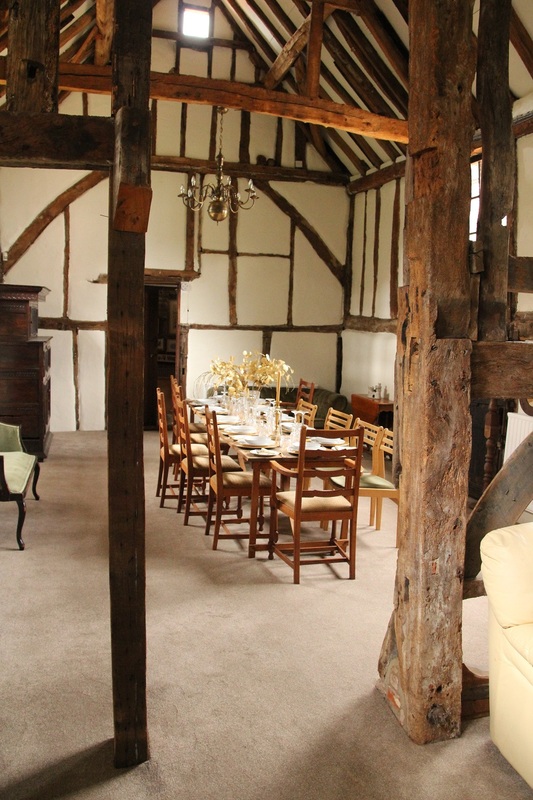 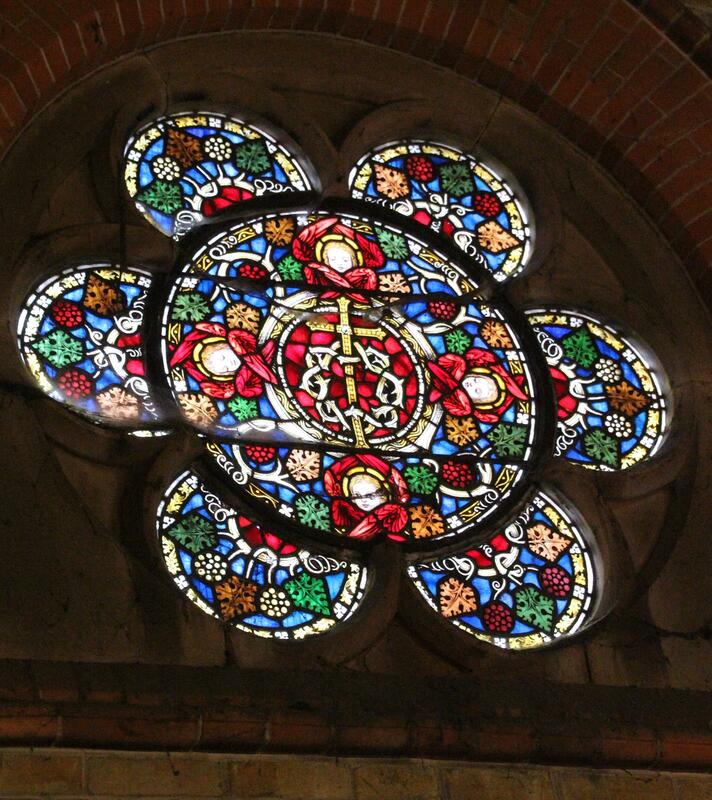 The history of the ‘Hall House’ can be traced back to the 1590s although parts of an older house remain at its core. 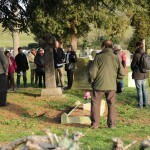 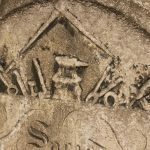 This unusual gravestone belongs to the blacksmith who lived at Church Cottage. 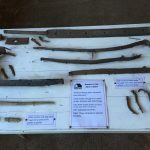 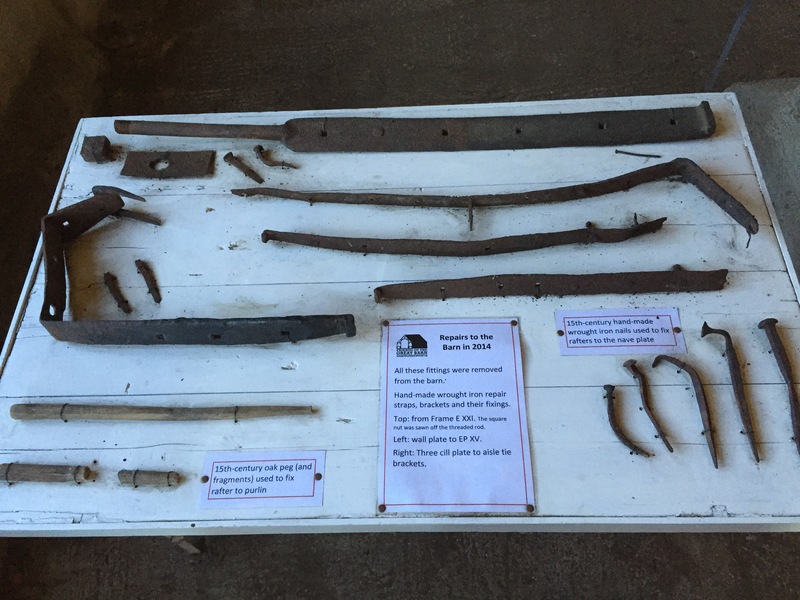 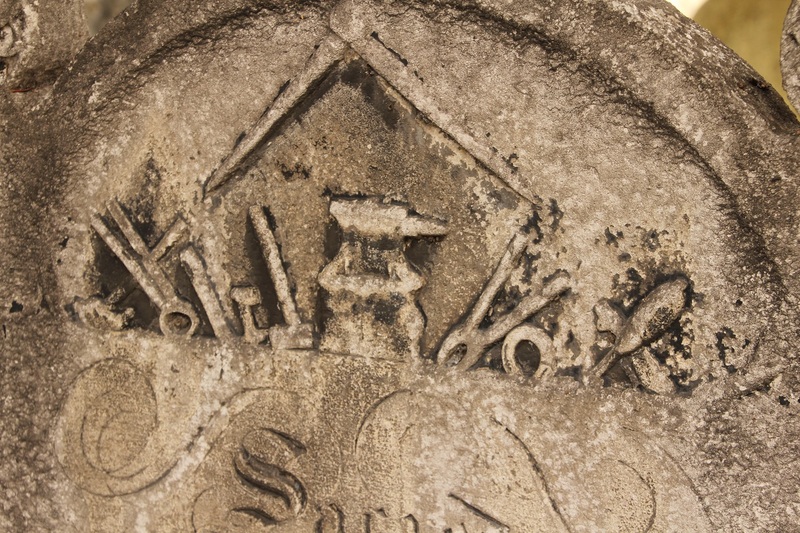 The carving shows the tools of his trade. 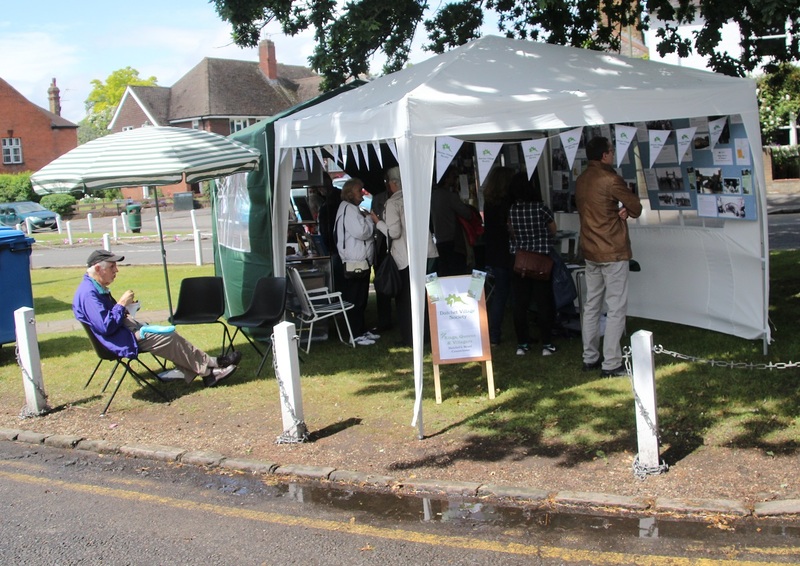 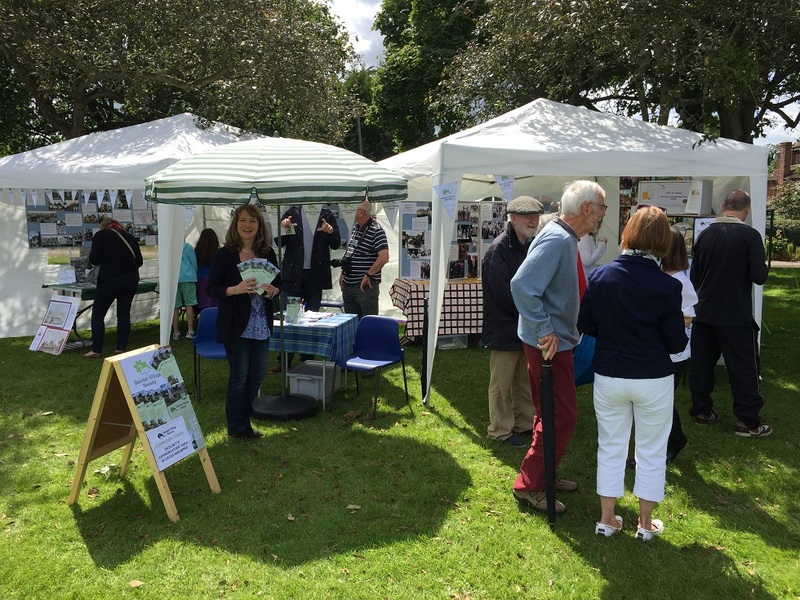 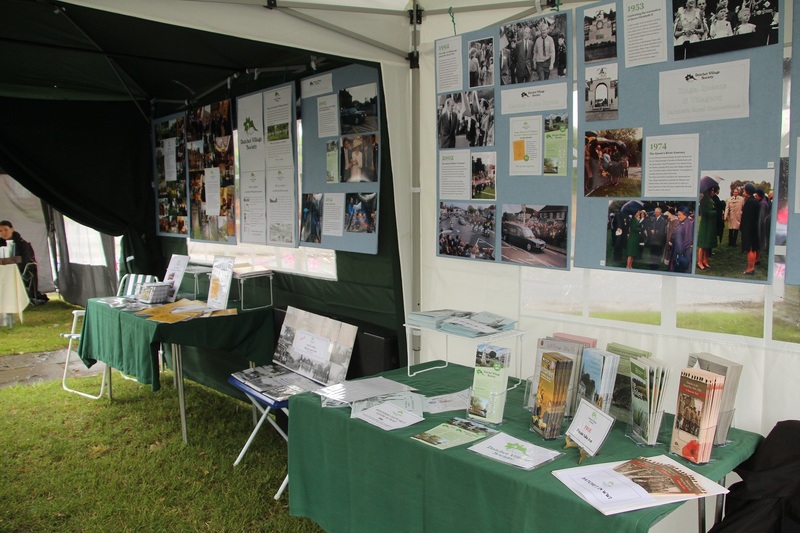 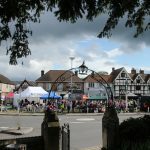 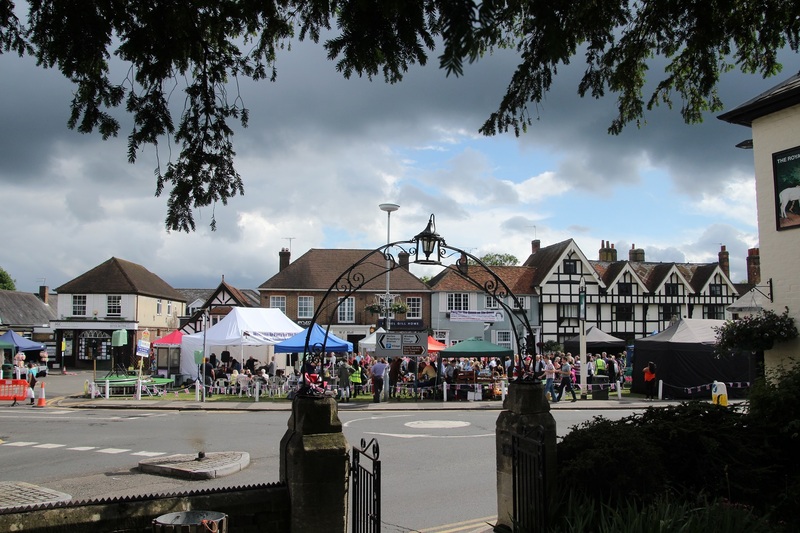 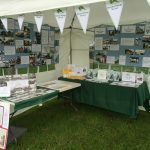 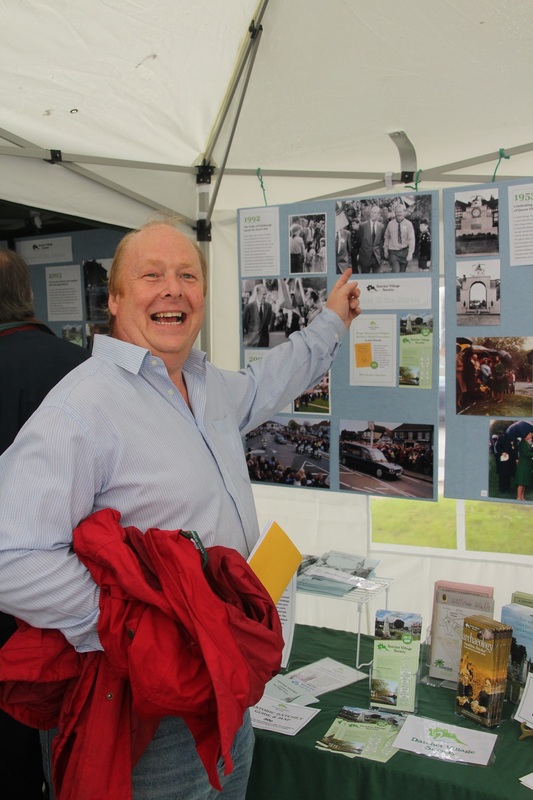 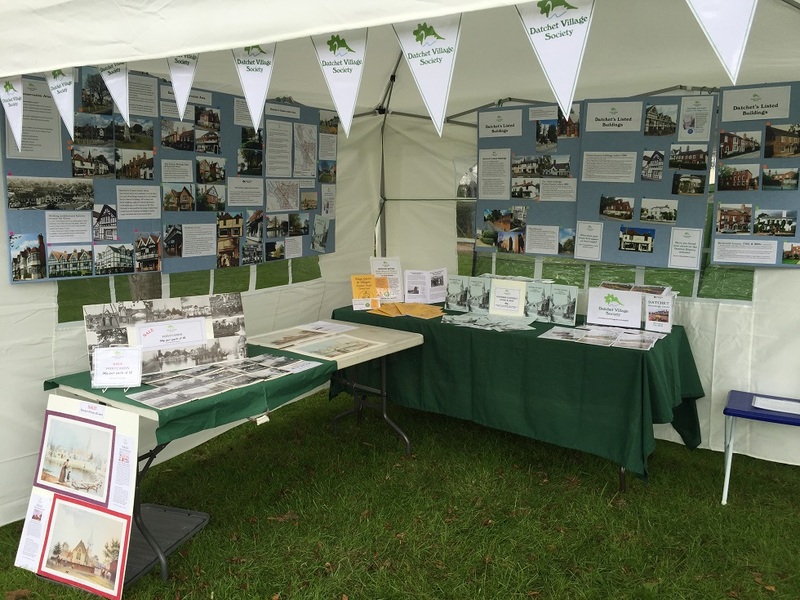 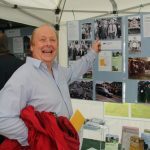 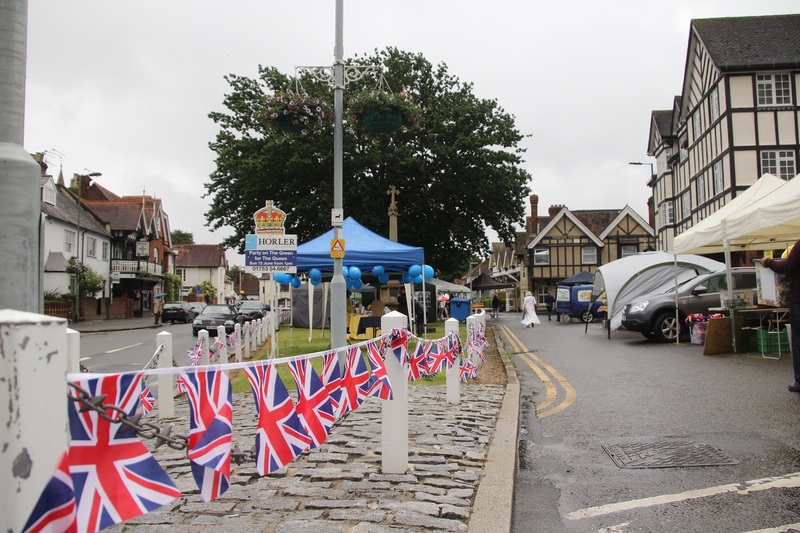 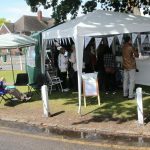 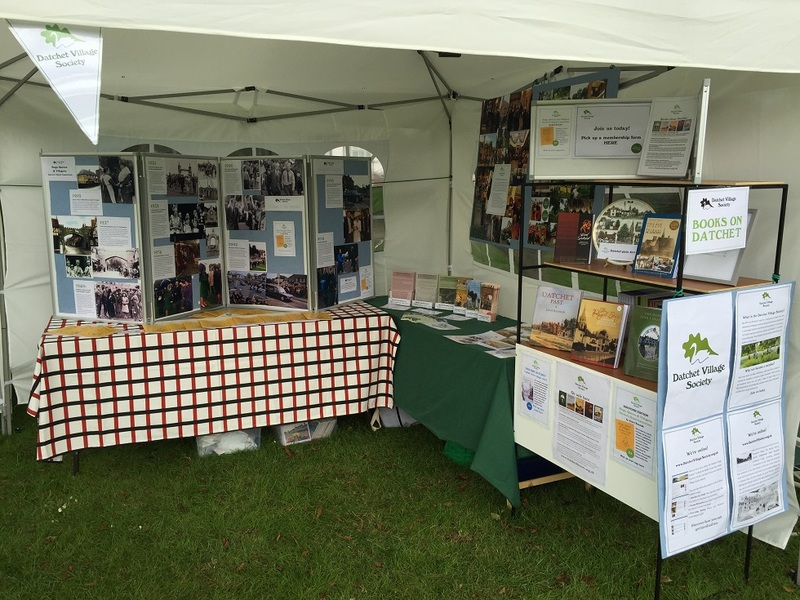 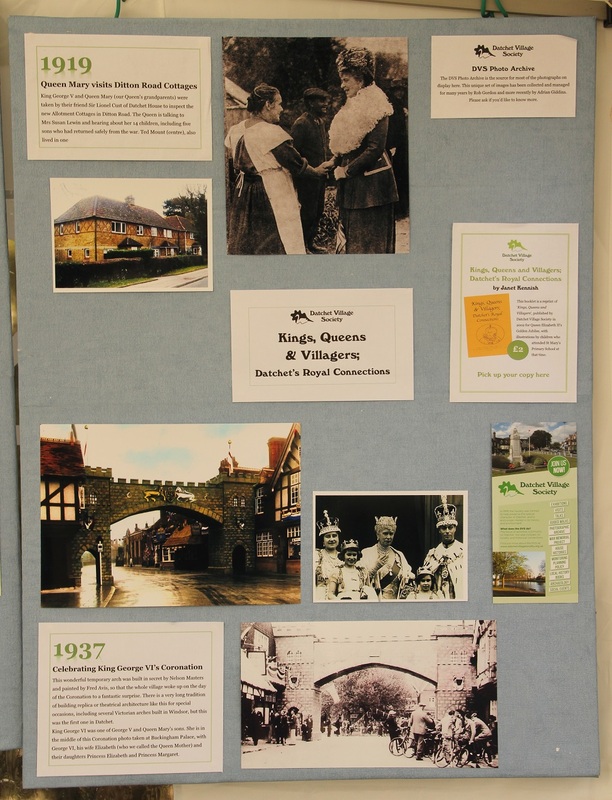 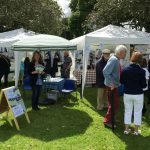 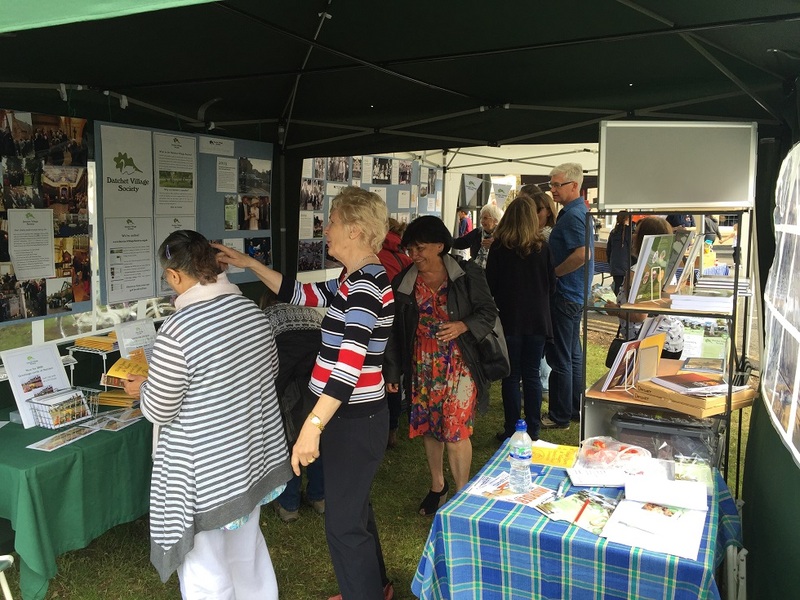 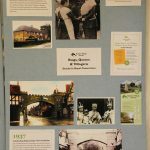 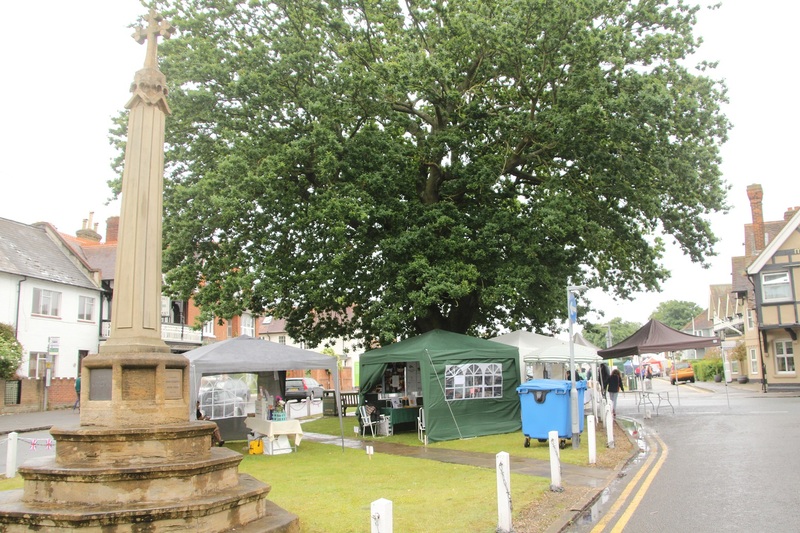 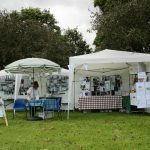 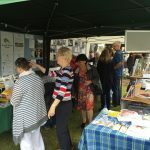 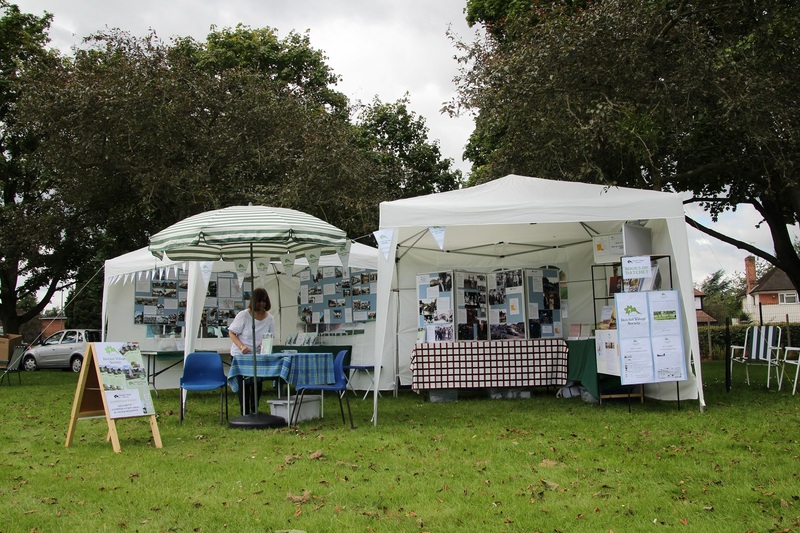 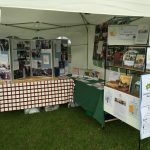 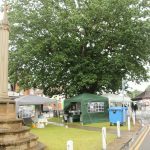 DVS had a stall at the village fete with displays on the Conservation Area and all the listed buildings in the village, and “Kings, Queens and Villagers” (see entry below for more details).